Nearly five months after being released from custody, Tajik journalist Khayrullo Mirsaidov has been ordered back to jail. On January 11, the Khujand City Court sentenced Mirsaidov to eight months in prison for violating a court order and leaving the country. 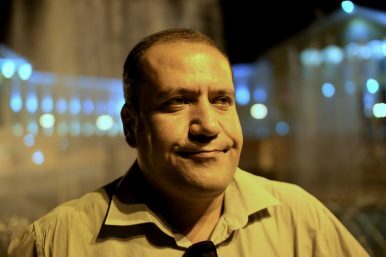 In late August 2018, Mirsaidov was released from jail after a successful international pressure campaign. Mirsaidov’s troubles began in November 2017 when he penned an open letter addressed to Tajik President Emomali Rahmon, Prosecutor General Yusuf Rahmon, and then-Governor of Sughd region Abdurahmon Kodiri accusing Sughd regional officials of corruption. Mirsaidov alleged that the head of the region’s youth and sports affairs directorate, Olim Zohidzoda, demanded a $1,000 bribe and pushed Mirsaidov to misuse public funds allocated for the Khujand-based competitive comedy troupe KVN, which Mirsaidov led. Zohidzoda, in turn, accused Mirsaidov of slander. On December 5 that year, Mirsaidov was arrested and charged with embezzlement, forging documents, providing false testimony, and incitement. The incitement charge was later dropped but in July 2018 he was convicted for embezzlement, forging documents, and providing false testimony. The charges were widely viewed as politically motivated and the sentence — 12 years in prison — outrageous. While Mirsaidov was allowed to leave prison in August 2018, his conviction remains intact. He was ordered to pay an 80,000 somoni ($8,500) fine, do community service, and pay one-fifth of his salary over the next two years to the government. He was also ordered to notify the authorities if he wanted to leave the country. Mirsaidov’s defense lawyer, Bakhtiyor Nasrulloev, told RFE/RL on January 12 that he had informed the court that Mirsaidov had left the country for medical treatment. According to Fergana News, Mirsaidov says he left Tajikistan for Georgia in mid-October 2018. His health had worsened in prison and, in an interview with RFE/RL’s Tajik service, he said he was also having difficulty finding adequate work in Tajikistan. Mirsaidov told both outlets he had paid the 80,000 somoni fine. The Khujand court’s recent sentence — eight months in prison — was handed down in absentia. Nasrulloev warned, in his comments to Fergana, that if Mirsaidov returns to Tajikistan he’s likely to be detained at the airport. Khayrullo Mirsaidov reported corruption in a November 2017 open letter. On July 11 he was convicted of embezzlement.